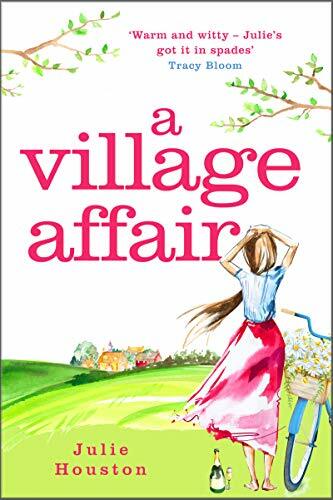 My pick of the paid 100 Bestselling Kindle books is A Village Affair by Julie Houston. It is number forty-one at the time I picked it from the charts. I really the cover, is the wee woman distressed or happy on the cover? It makes me want to find out. All my chart pickings are my own and I am not paid to put them on my blog. I choose the ones that I like the look of. From the bestselling author of The Ballroom Café and The Judge’s Wife comes a new story of friendship, resilience and compassion, and how women support each other through the most difficult times. At first, Connie tries to avoid the villagers, until she meets local women Eve and Hetty who introduce her to the Ludlow Ladies’ Society, a crafts group in need of a permanent home. Connie soon discovers Eve is also struggling with pain and the loss of having her beloved Ludlow Hall repossessed by the bank and sold off. Now, seeing the American Connie living there, the hurt of losing everything is renewed. Can these women ever be friends? Can they ever understand or forgive?